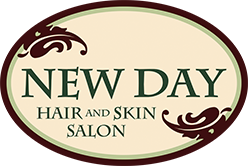 New Day Hair & Skin Salon is known and loved for our passionate customer service. Enjoy a relaxing and refreshing experience here, and treat yourself to a total rejuvenation of the skin, mind, and body. Our professionally trained Estheticians use the art and science of Aveda™ products to deliver exceptional hair, skin care, and makeup services. You will discover a warm, relaxing, tranquil environment where your comfort is our priority and progressive care is our signature. With our ongoing training in new technologies and products, we can provide you with the most comfort and highest quality service possible. We are fully committed to setting the highest standards in the beauty industry . Our skin treatments include Moisturizing Facials that will rehydrate your skin for a quick pick-me-up, Aveda™ Nature Facials which are customized to restore your skin to its full vitality, and a variety of Mini-Facials and Full Facials designed to keep your skin balanced and healthy. We also provide full waxing and eyelash/eyebrow tinting. It’s all about what suits you! With our signature attention to detail and custom services, New Day Hair & Skin Salon can make every bride look and feel absolutely gorgeous. Our talented team can achieve any look you want, whether it is classical, romantic, tropical, bohemian, Hollywood, or rock & roll! We do personalized makeup applications and hairdos for a variety of occasions–like weddings, parties, corporate photography, and proms. Jill is a great hairdresser…awesome, friendly, courteous, and a great people person. I went into New Day looking for a close salon after driving to Danbury from Shelton for 3 years. I have been very impressed! They are a great salon! It is clean, they are friendly and they give you a great cut at a good price! I keep going back! Friendly staff, cute place, very accommodating, very much enjoyed my experience!